Fiji Airlines is presenting a new series of videos about eco-tourism in Fiji on their in-flight entertainment system. The videos include stunning footage of some of the most beautiful places and resorts in Fiji. 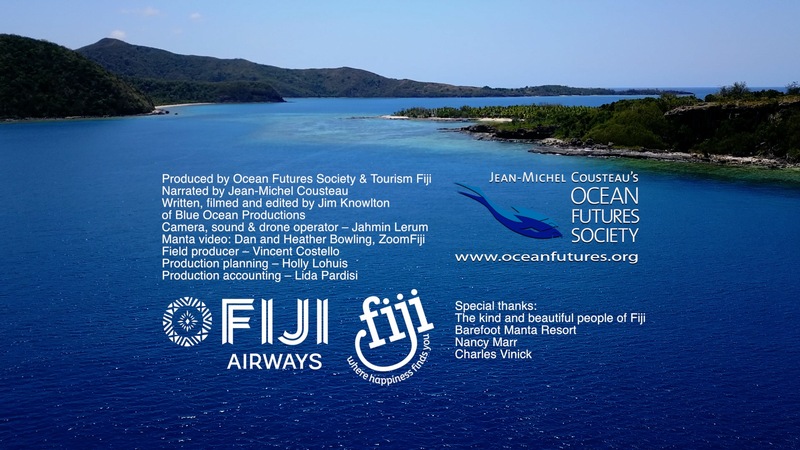 The videos are produced by Jean-Michel Cousteau’s Ocean Futures Society and Tourism Fiji and were filmed and edited by Jim Knowlton of Blue Ocean Productions and Jahmin Lerum. Jean-Michel Cousteau is an Ambassador for Fiji Airlines in recognition of his many years of traveling to Fiji and his message of ocean appreciation and environmental protection. One of the main themes of the video seires is that at eco-friendly resorts in Fiji, guests can take part in programs that leave the environment in better condition than when they arrived. Many resorts have full-time biologists that share their knowledge with guests and they help keep the resort eco-friendly. Non-profit organizations also work with resorts to help restore the environment, with programs such as coral planting, mangrove planting, and iguana breeding programs.